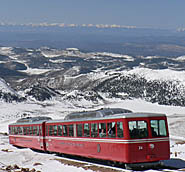 “End of the line for today,” announced the engineer as the Manitou & Pikes Peak Cog Railway locomotive came to a stop. 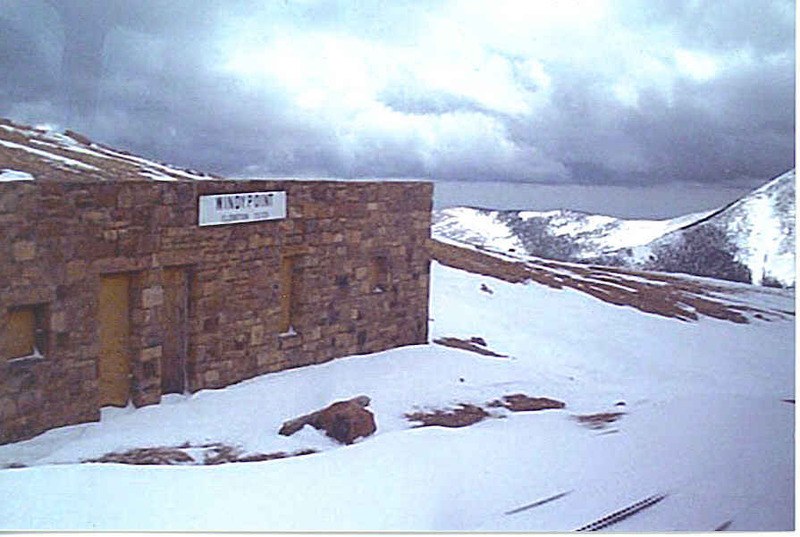 Thus, Windy Point, at about 12,000 feet, became the end of the journey up Pikes Peak in Colorado that particular afternoon. The snow was too deep on the tracks for the blower to remove it…and it was still snowing. 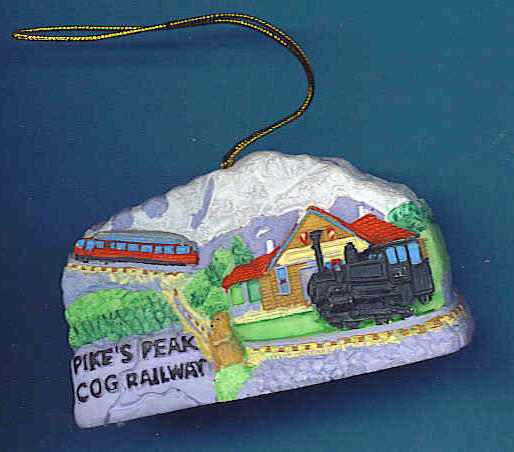 Traveling by car to the top of Pikes Peak has been a memorable occasion since childhood; however, traveling by cog railway was an entirely different experience. 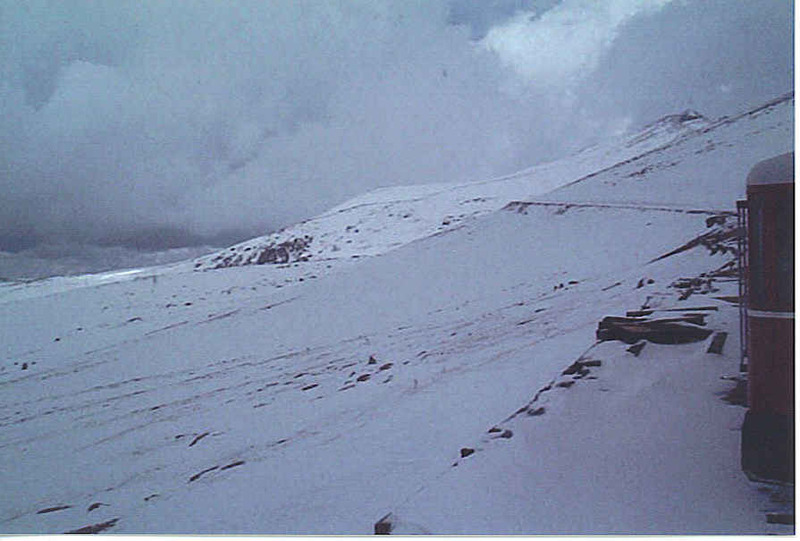 Even though it was April, seems that spring is the time for heaviest snow in the Rockies as the main road to the top for automobiles was not passable. The only possibility of traveling up the mountainside was taking the Cog Railway and seeing how far it would be able to go on that particular day. Pikes Peak was named for Zebulon Pike, an early explorer, who happened upon it in his 1806 travels. He attempted to climb it with a small band of men, but they only reached 10,000 feet before they were turned away by deep snow. Even before Pike, the Ute Indians camped at the base of Pikes Peak and it is suspected that they had a pathway to the top to get ceremonial eagle feathers. Starting back in 1889, workers were paid twenty-five cents an hour to lay the rails to the top of Pikes Peak. The first steam locomotive took a Denver church choir to the summit. These early locomotives pushed the passenger car up the steep incline. Over the years the engines have developed from steam to gasoline and then diesel. Today the cog locomotive is run by a combination of diesel and electric. A cog railway uses a gear called a “cog wheel”, which meshes into a special rack rail in the middle of the outer tracks. With its use, the locomotive is able to travel much steeper inclines than a standard track. 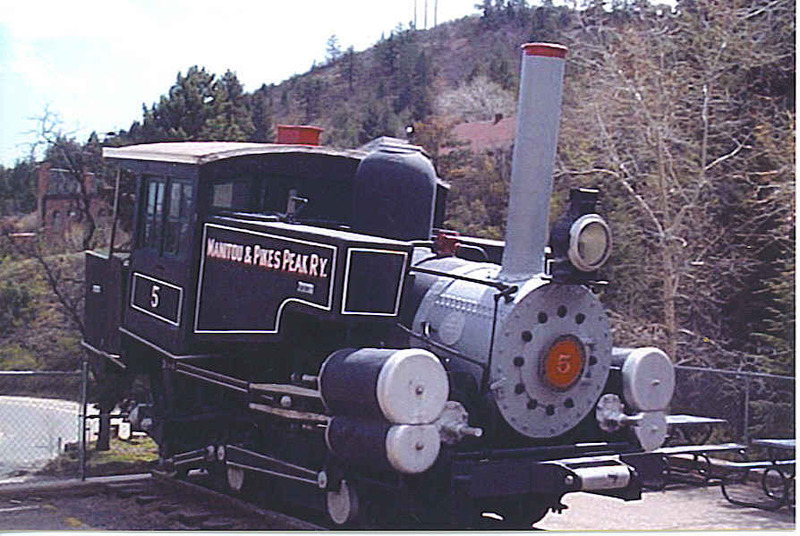 Manitou & Pikes Peak Railway is the highest cog railway in the world…with a perfect safety record. What a great view all the way up the steep incline to the timberline, which designates the altitude where trees can no longer grow due to lack of moisture caused by the frozen permafrost under the surface. Seemed like you could see forever over the beautiful snow-covered Rocky Mountains with their forests of tall pine. Fantastic rock formations often gave way to breathtaking cliffs overlooking steep canyons. Passengers oo-ed and ah-ed all the way to the top. Back at the base in front of the old courthouse in Colorado Springs, there is a statue of Katharine Lee Bates sitting and looking up at Pikes Peak, which was her inspiration to write the words for “America the Beautiful”. Although written back in 1913 after going to the Peak using a team of mules, the purple mountain majesty still reigns over Colorado Springs to this day. When in Colorado, take Exit 141 (US 24) off I-25. Go west toward the Rocky Mountains on US 24 about four miles to the Manitou Ave exit, which is in Manitou Springs. Keep going west one and a half miles to Ruxton Avenue. Turn left on Ruxton Avenue at the Mountain Man Shop using a roundabout. At the top of Ruxton Avenue is the entrance to the Cog Railway. Enjoy the ride! You’ll have to try it when you are in Colorado sometime. Thanks for stopping by! I haven’t been there yet, but it’s on my bucket list.